The Amazing Tapping Solution Summit is now in full swing. It started on February 25 and goes for 10 days. You have probably landed here on this page, if you just read my previous article What is EFT or Tapping – How Do I Start and I’ve redirected you to this NEWS Flash post. I know it is short notice but I am so impressed and EXCITED about the content at The World Tapping Solution Summit that I had to get this out to you as QUICKLY as possible. YOU REALLY DO NOT WANT TO MISS THIS SUMMIT. It is unfortunate that the 11th Annual World Tapping Solution Summit started on Feb. 25th as there are a lot of top name presenters discussing the various aspects of EFT or Tapping. If you are like me, you may be really new to Tapping. I wish I had come across this summit earlier as I’ve missed a few days, but what I have listened to has been amazing and I’m learning so much! Tapping helps people “clear those limiting beliefs that are holding them back from attracting what they want”. This fits so nicely with the idea of the Law of Attraction. There are still about 4 and 1/2 days left in the summit to enjoy all the passionate and knowledgable “World’s Leading Personal Development and Health Experts”. I’ve included a link for you to sign up for the free summit here. The Tapping Solution Summit is free… and don’t worry if you missed a few days, they usually have an encore day when they replay all or most of their sessions and if they don’t you can also purchase the videos or check out the free information on The Tapping Solution website. I encourage you to check out the Tapping Solution Summit for yourself before it’s too late! (Please note I do get a small commission if you use my link. I would be grateful if you found my article helpful that you use my link so that you can support my continued website’s existence. So if you are interested in learning about EFT or Tapping or if you are just curious, this is a fantastic opportunity to check things out for FREE! After you sign up you will be sent an email with the information to access the summit to listen to various speakers. 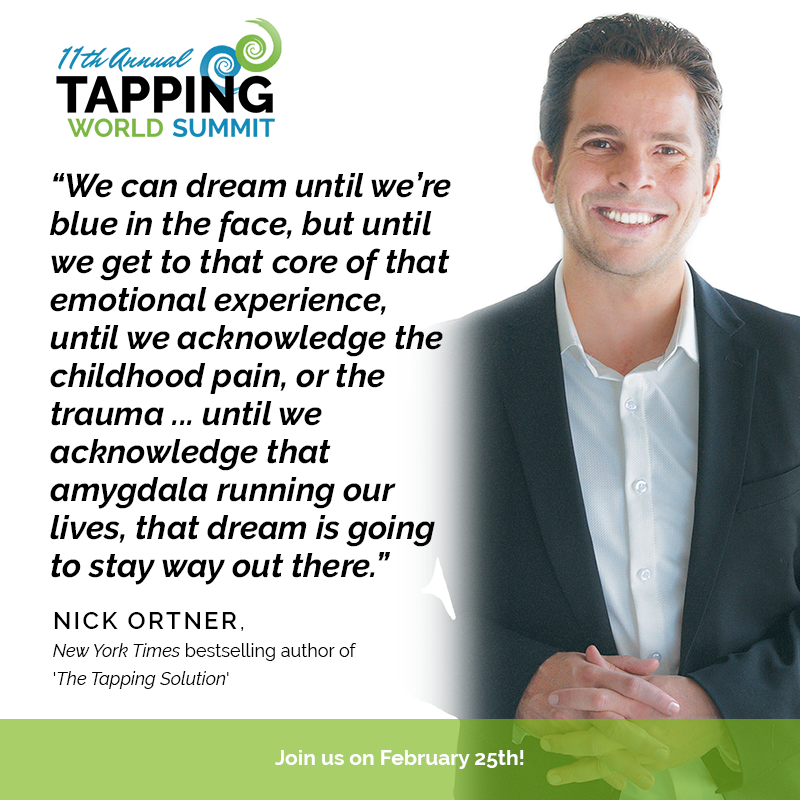 The Tapping Solution Summit is produced by Nick Ortner and Alex Ortner and is hosted by Jessica Ortner. I’m sure you will be as thrilled as I am. I will be doing a follow-up up post shortly to expand on what I learn and how I’m going to implement Tapping into my lifestyle. I think Tapping is a wonderful addition to my tools for improving my Health and Wellness this year! I hope it will be helpful for you too! I just finished watching some of the videos at the Tapping Solution Summit. They were awesome! I learned so much! Thanks for introducing me to EFT and Tapping.